Lenders often have the upper hand in loan modifications and workout negotiations. Unfortunately, most loan documents heavily favor banks and not the borrowers. There are limits, however, and legal cases can be won if lenders act in a commercially unreasonable manner or breach a duty of good faith. Until recently, most attempts to establish a duty of good faith in commercial workouts were rejected. After the financial meltdown of 2007, however, the tide began to change. Now there are several recognized exceptions. 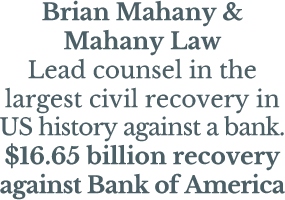 First, when lenders agree to a standstill or forbearance agreement, many courts will require the bank to negotiate subsequent workouts in good faith. Other courts now express the bank’s duties in terms of a duty to act in a commercially reasonable manner. Recently we have seen some loan servicers attempt to acquire secured assets for their own portfolio. Often these efforts cause the servicer to breach its duty to the lender and can affect the borrower’s rights as well. Finally, courts have been routinely holding banks to much higher standards with farm loan modifications. The Agricultural Credit Act requires lenders to negotiate workouts in good faith prior to filing for foreclosure. What does all this mean? Today it means that banks must sit down with borrowers and have meaningful workout discussions. If they don't, then call us to learn your rights.